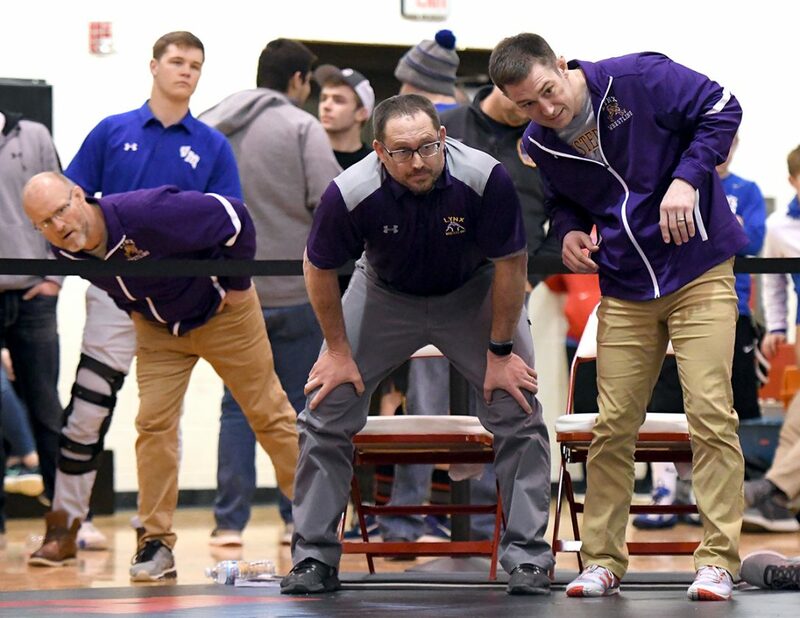 ADEL — Many wrestlers celebrated by either gesturing to the crowd or hugging their coaches, but not Webster City’s Big Three. They were on a business trip, one where having their arms raised was expected. And they did so stoically, six times combined, to be exact. 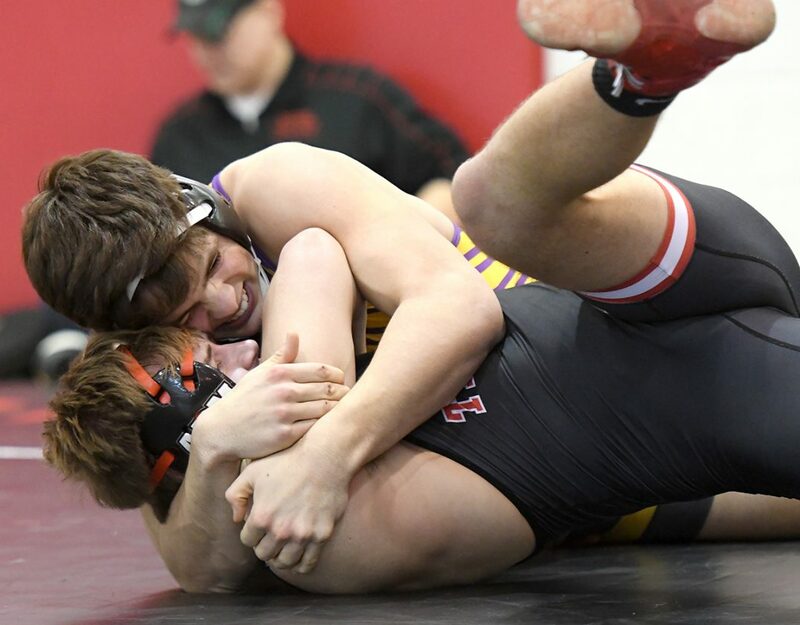 Seventh-ranked 106-pounder Camron Phetxoumphone, top-ranked 120-pounder Drake Doolittle and fifth-ranked 195-pounder Caleb Olson all steamrolled their way through their respective Class 2A district tournament brackets on Saturday at ADM High School. They’ll be joined by teammate and district runner-up Michael Gilbert (182) at the state tournament later this week. Doolittle (39-1), who upped his career wins total to 171, became just the third four-time state qualifier in WCHS history, joining Lynx assistant coach and the only four-time state medalist Tyler Patten, as well as Dylan Fielder. Olson (35-4) moved to within one victory of becoming the 19th 100-match winner in program history and became only the 12th grappler to advance to state at least three times. Phetxoumphone (36-4) joined Gilbert as a first-time qualifier. The trio combined to record four falls and one major decision. 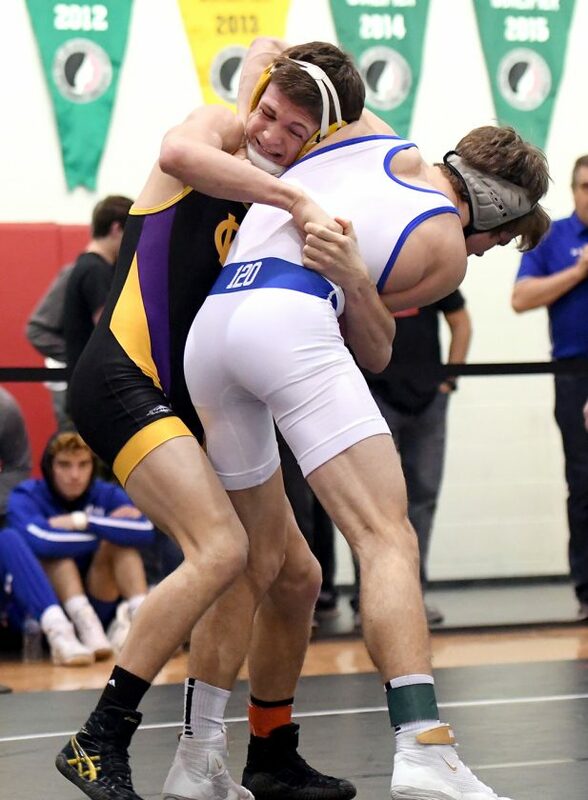 Doolittle did give a hint of a grin one time and that came as he raced back to the center circle during his scrap with 10th-ranked Colby Wiederholt of Van Meter-Earlham in the finals. Doolittle dominated with five takedowns and one turn in a 13-5 major decision victory. He says he enjoyed the test against a quality opponent because it will prepare him for the ultimate test in Des Moines. Playing it cautious was not in Doolittle’s game plan though. He repeatedly got in on Wiederholt’s legs and he elevated him twice before tossing him to the mat. Phetxoumphone, who has rattled off 23 consecutive wins since his last setback on Dec. 15, needed only 47 seconds to deck Joel Harney of Woodward-Granger in the semifinals. The WCHS freshman hit a fireman’s carry that put Harney on his back for good. Perry’s Cole Nelson scored the first takedown of the 106 final, but Phetxoumphone quickly hit a reversal and then added a turn, a second-period takedown and a third-period reversal for an 8-4 win to secure his spot in the state field. Olson showed both of his opponents the lights. He put ADM’s Justice Paulson on his back twice in the first period to build a 6-0 lead and then put him away with a reversal and butcher at the 2:38 mark. In the finals, Olson surrendered an early takedown to Ballard’s Joseph Hofbauer, but quickly took control and opened up a 6-2 advantage. Starting below to begin the second period, Olson connected on a Granby roll to put Hofbauer on his back and the slap of the mat came at 2:55. WCHS placed second in the team standings with 90 points. 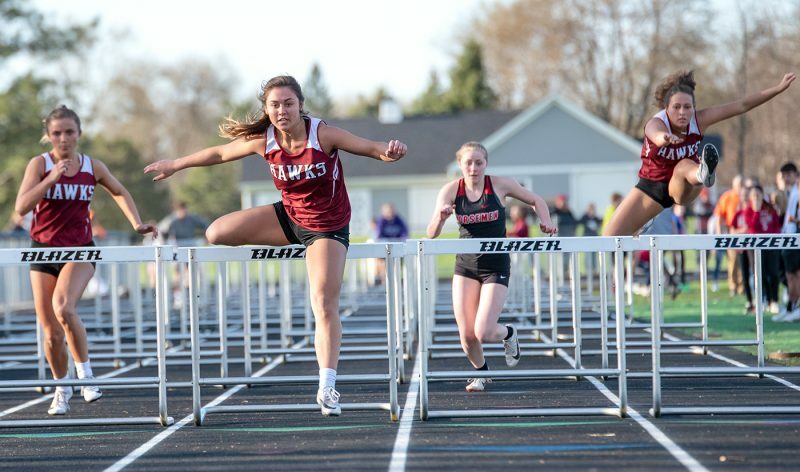 Van Meter-Earlham claimed the district crown with 1261⁄2 points on the strength of seven state qualifiers. Top-ranked Drake Doolittle is the No. 2 seed at 120 pounds in Class 2A for the state wrestling tournament. Fifth-ranked Caleb Olson (195) and seventh-ranked Camron Phetxoumphone (106) are both No. 5 seeds. Doolittle will open up on Thursday against Union freshman Hunter Worthen. 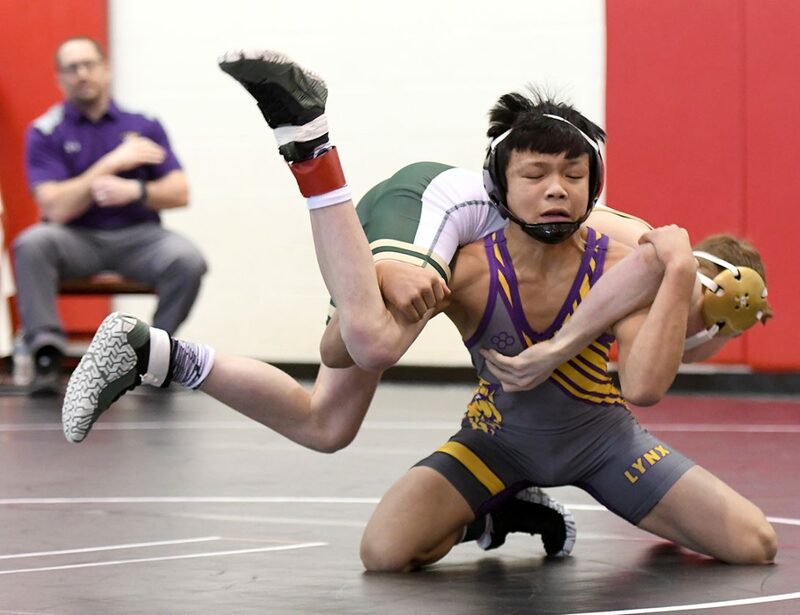 The two met at last Wednesdays’ regional duals; Doolittle was on his way to a comfortable win when he picked up a third-period fall. Phetxoumphone will also face a familiar foe in his state opener. 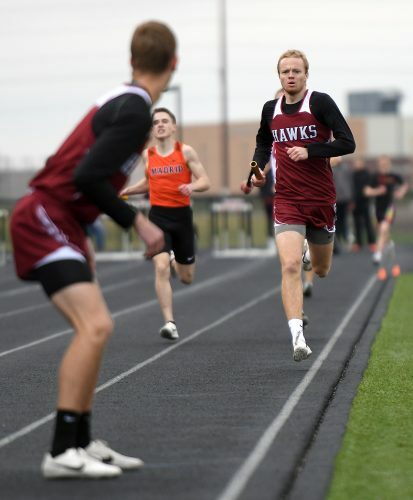 He drew North Central Conference rival and ninth-ranked Cole Nelson of Humboldt. They split two regular season meetings. Olson will contend with Chayce Hooyer of Sioux Center in the first round Thursday night inside Wells Fargo Arena in Des Moines. 1. 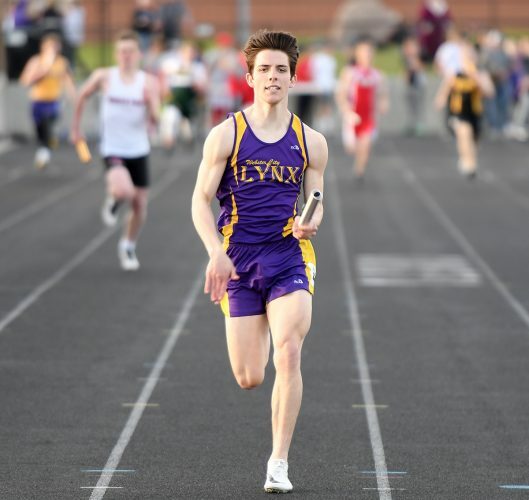 Van Meter-Earlham 1261⁄2; 2. Webster City 90; 3. Gilbert 82; 4. Ballard 69; 5. Perry 67; 6. ADM 521⁄2; 7. Woodward-Granger 30; 8. Roland-Story 291⁄2; 9. North Polk 24; 10. Saydel 8; 11. West Marshall 0. 1. Van Meter-Earlham 7; 2. Webster City 4; 3. (tie) Perry, ADM, Gilbert, Ballard 3; 7. (tie) Roland-Story, Woodward-Granger 2; 9. North Polk 1; 10. 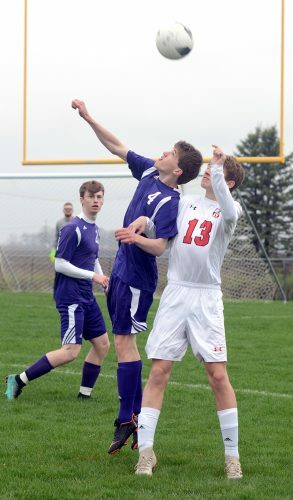 (tie) Saydel, West Marshall 0. •Semifinal — Won by fall over Joel Harney (W-G), 0:47. •Final — Won by dec. over Cole Nelson (PER), 8-4. •Semifinal — Won by fall over Ryan Davidson (NP), 1:42. •Final — Won by major dec. over Colby Wiederholt (VME), 13-5. •Semifinal — Lost by tech fall to Andrew Flora (ADM), 16-1, 6:00. •Consolation — Won by fall over Korbin Barck (VME), 2:22. •Wrestleback — Lost by fall to Cael Ihle (GIL), 2:52. •Semifinal — Lost by fall to Skyler Noftsger (BAL), 0:38. •Consolation — Won by fall over Erick Funez (PER), 5:26. •Wrestleback — Lost by major dec. to Caleb Swalla (VME), 14-2. •Semifinal — Lost by fall to Nolan Harsh (ADM), 1:32. •Consolation — Won by fall over Cole Snyder (PER), 2:34. •Wrestleback — Won be dec. over Mason Askelsen (BAL), 5-1. •Semifinal — Won by fall over Justice Paulson (ADM), 2:39. •Final — Won by fall over Joseph Hofbauer (BAL), 2:55. •Semifinal — Lost by fall to Cody Fisher (W-G), 0:20. •Consolation — Lost by fall to Cayden Meskan (GIL), 1:32. 106 — Camron Phetxoumphone, fr, Webster City (36-4) vs. Cole Nelson, jr, Humboldt (38-12). 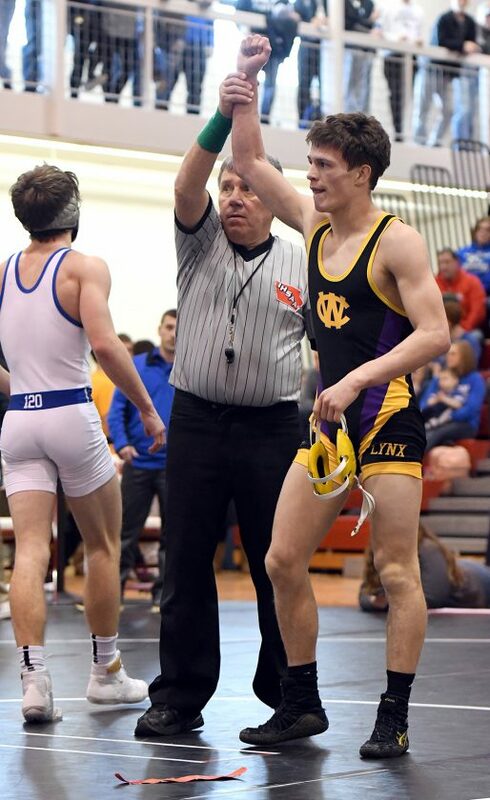 120 — Drake Doolittle, sr, Webster City (39-1) vs. Hunter Worthen, fr, Union (28-19). 182 — Michael Gilbert, sr, Webster City (24-20) vs. Luke Jenness, soph, Sheldon (39-2). 195 — Caleb Olson, sr, Webster City (35-4) vs. Chayce Hooyer, jr, Sioux Center (27-9).